So Who's Coming to Zoofari With Me Tomorrow! So Who&apos;s Coming to Zoofari With Me Tomorrow! Alrighty then, a little more than 24 hours till we get to head out to Tampa&apos;s Lowry Park Zoo tomorrow for the annual Zoofari festival, and Jerm can&apos;t wait! With the many Tampa Bay area events going on this weekend, this bad boy is gonna be up there with the best I assure you! The 23rd annual Zoofari at Tampa’s Lowry Park Zoo will feature a variety of deliciously delectable food from more than 60 Bay Area restaurants! One thing I do know is that I will do my best to sample food from all 60 vendors, which means that one of you may have to wheelbarrow me out of that place at some point. 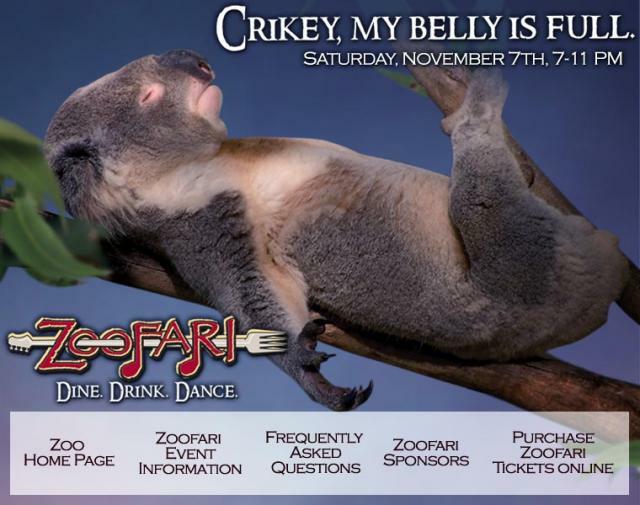 There will be open bars, six bands throughout the Zoo featuring Sister Hazel on the main stage and a whole lot of other tastiness. I would suggest you get there early, as the lines will be pretty crazy and the parking lot I can almost guarantee will overflowing, which is a good thing, because the more the merrier! As usual I&apos;ll be tweeting live from the event and taking pictures when not stuffing my face, so hopefully I&apos;ll see you there! In the meantime stay tuned in for more things to do in Tampa Bay!